We booked Crystal Queen and her friend as Mr. & Mrs. Santa Claus, for our Christmas gathering for family and friends. They arrived right on time, ringing jingle bells and Ho Ho Ho-ing as they entered the room. 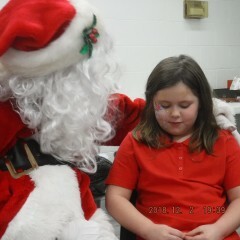 Mrs. Claus waved at everyone, (due to a case of laryngitis) and went to set up a table for face painting. Santa made his way around the room, greeting each of the eight children while parents took photos. 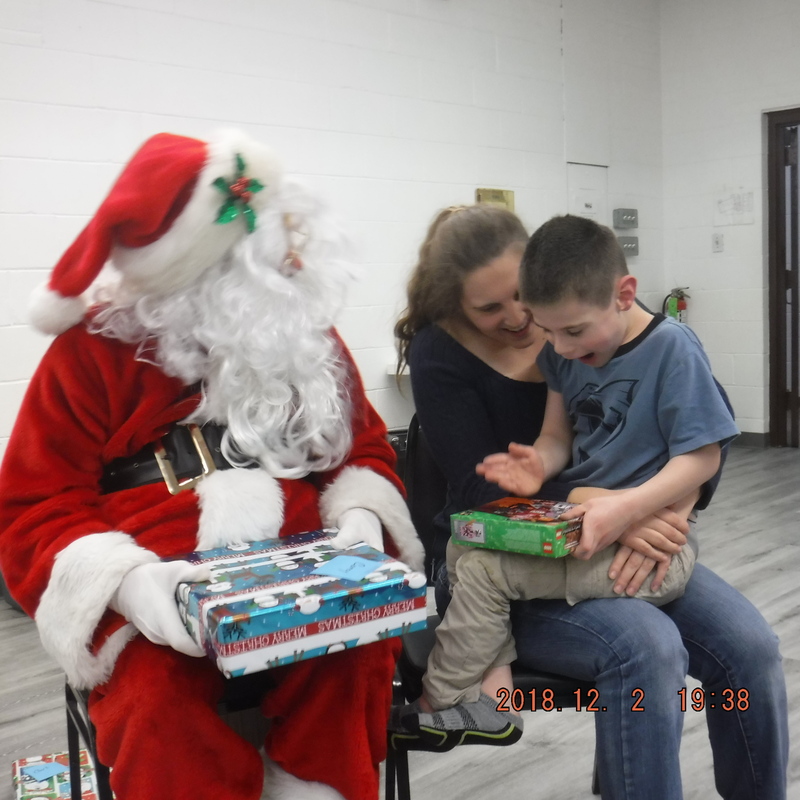 Then he sat down, called the kids up one at a time, chatted with them about what they wanted for Christmas, and presented them all with two gifts (one provided by their parents, and one by us). Amazingly (! ), each of the youngsters got something they had asked for. 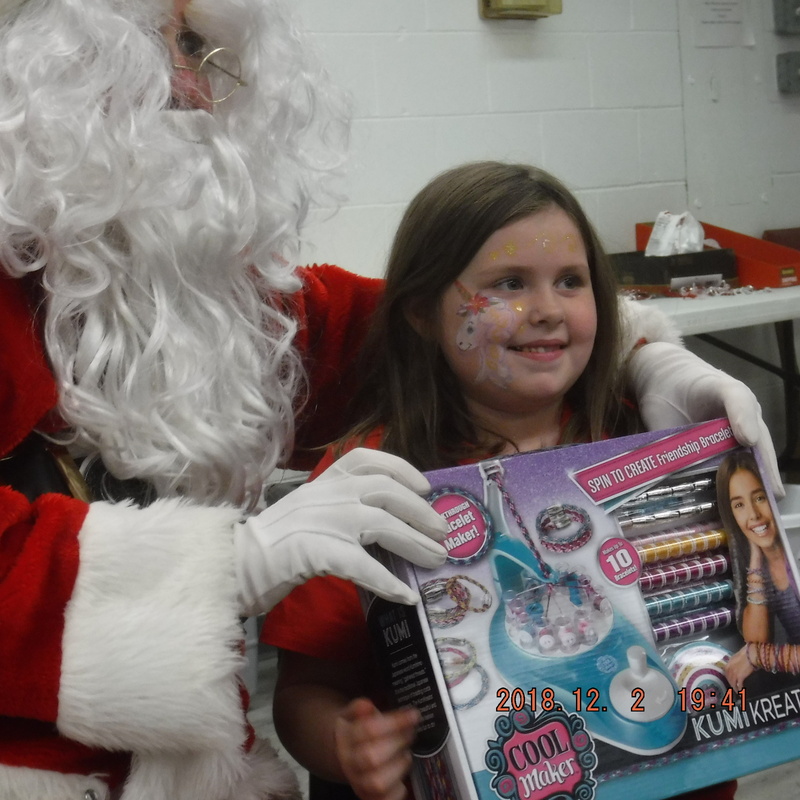 While waiting their turn to chat with Santa, three little girls were thrilled to have their faces painted. Mrs. Claus is quite the artist! The boys all politely declined face painting, no surprise there! When it was Corey's turn to chat with Santa, he needed to sit on his mom's lap, and whisper to Santa. Corey is on the Autism spectrum. 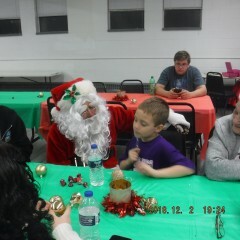 After the kids all received their gifts, Santa and I chatted a little about each of the kids. 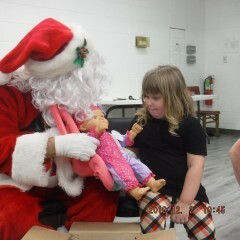 Then Santa walked around the room passing out cookies, and commenting on each of the kids playing with their new toys. 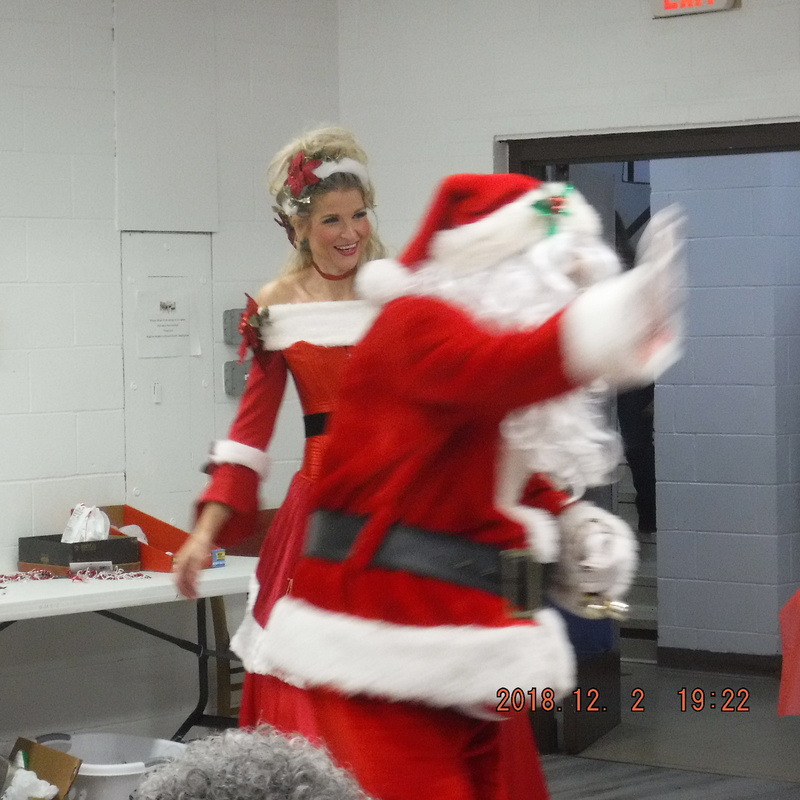 As the adults in attendance started our gift exchange game, Mr. & Mrs. Claus laughed along with us at the silliness. 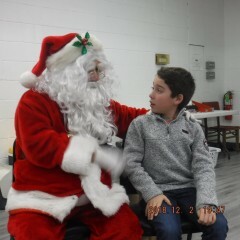 At some point, Corey approached Santa and asked if they could talk. It brought tears to my eyes to see this little boy, a very, very intelligent 6 year old, sitting face to face with Santa, chatting like old friends. Even our 7 year old grand-nephew, who was an unbeliever, went home and told his parents that now he thought Santa Claus was real! We have received calls and Facebook messages from many of the adults at the party, raving about how great Santa and Mrs. Claus were. I can hardly wait till March to hire Crystal as a princess for our grand-daughter's 5th birthday party! My heart is just bursting with pride. We had the most amazing time with your family. I can not wait to create another memory with you. I hope all of you have a blessed Holiday and the most wonderful New Year. Contact me to start process of designing the Perfect Princess Party for your little Princess ..